Munchkins clearly get their name for their short legs. 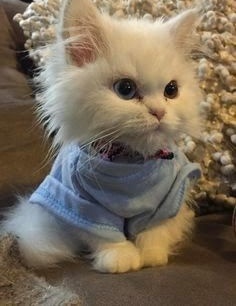 These adorable little kitties get their unique look from a genetic mutation that causes dwarfism. In fact, short-legged cats have popped up in every breed here and there for years. It wasn’t until recently that breeders started looking to create a Munchkin breed.